Hot jazz from dozens of fine young players in both big and small bands fills the Ashkenaz stage as the Award Winning Bishop O’Dowd High School Jazz Band throws its annual “end-of-the-year blowout and fundraiser.” The band program at the East Oakland school has been around for years, but in the past few years under the direction of busy musician Fred Randolph (a gigging and recording jazz bassist in the Bay Area in a number of bands as well as leading his own quintet), the program has grown rapidly. There are now nearly 60 students in the jazz band program, and tonight’s show presents three groups: the beginning and advanced bands (both big bands) and a smaller jazz combo. 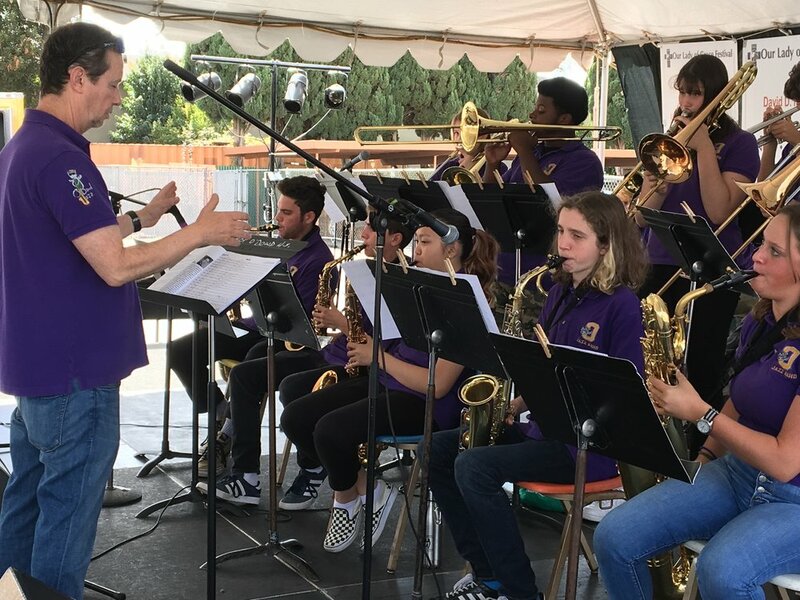 They offer a delightful mix of jazz, the blues to swing, funk, and beyond and including original works by the students.